We are very pleased to announce the gallery's 4th exhibition with works by Norwegian artist Tom Sandberg (1953 - 2014). Sandberg worked closely with the gallery since his first solo exhibition in 2002 until his passing in 2014. The current exhibition is made in collaboration with the Tom Sandberg Foundation and shows a selection of handmade baryta prints by Tom Sandberg. Tom Sandberg is known for his seductive and tactile black & white photographs. The characteristic works in rich grey tones have since the 1970s been the Norwegian artist's undoubted signature. Sandberg was a photographer and a human being in constant motion, drawn by the magic of the moment and always hunting for his next motif. The counterpoints in Sandberg's recurring subjects range widely. In this exhibition, Sandberg's oeuvre is presented through a thematic selection of 3 image categories: clouds, smoke and shadows. The seemingly divergent subject matter share a state of being in transit. Together they form an associative narrative - a translucence that travels through meteorological and urban scenes. The presented works originate from Sandberg's collection of photographic baryta prints created in his personal darkroom at his house at Ekely, Oslo. In Sandberg's classical in-depth process in the darkroom, he projected light by means of an enlarger through the carefully selected film negative onto the photographic paper. During exposure, the artist meticulously calibrated the amount of light and time projected onto the image. Sandberg's photographic practice was linked to the tradition of straight photography - this artistic approach comes through in Sandberg's clean and unmanipulated photographs where the captured moment stands without editing, revealing the artist's eye for camera angling. In his work, Sandberg explored the surface and depth ratio in a motif and built an often ambiguous, yet very recognisable world of images. Sandberg's photographs reveal his fascination for a complex visual reality; he consistently managed to capture cloud formations in the very moment that they would take on a different and more personal presence. Both his figurative and non-figurative works bear the same high level of intensity. Even the seemingly abstract works attracts the eye and engage our own mental images - what you see is not necessarily what you get. Tom Sandberg (1953-2014) was educated at Trent Polytechnic in England where the American photographers and artists Thomas Joshua Cooper and Minor White were among his teachers. For more than 30 years Sandberg photographed, and simultaneously lay the foundation for the professional photo environment that Norway is known for today. 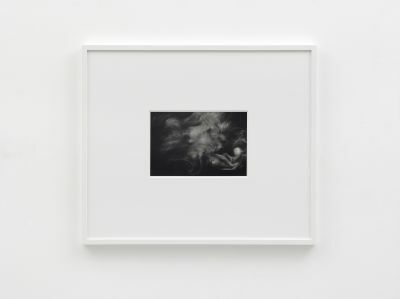 Tom Sandberg has exhibited at Astrup Fearnley Museum of Modern Art, Henie Onstad Kunstsenter, Lillehammer Kunstmuseum, and Fondazione Fotografia Modena in Italy and his international recognition had its peak with the solo exhibition at P.S.1 Contemporary Art Center (MoMA) in New York in 2007. Nils Stærk would like to thank the board of the newly founded Tom Sandberg Foundation and the estate advisory board, who together with Tom Sandberg's family, have made this exhibition possible.